Lists are a great format for a variety of reasons. 1. A list provides structure and makes a blog post easy to write. If I’m stumped for ideas, I start with something like “X ways to keep kids engaged” and go from there. 2. Lists are easy to read and helpful for readers, too. If you see a blog post called “10 must-read blogs about online safety,” you know exactly what you’re going to get. 3. Lists can convey a great deal of information in a digestible form—especially if you’re pressed for time. 4. Writing a list post helps to ensure that you don’t leave anything out. I usually draft my list articles with the title “X ways to ...” or “X reasons that ...” because I don’t know how many points I’ll have. As I jot down points, others come to me. The list format is conducive to developing ideas as well as coming up with them in the first place. 5. List posts are good for search engine optimization (SEO). They lend themselves to the inclusion of key words without artificially stuffing them in (which Google frowns upon anyway). A post entitled “10 useful apps for getting kids to write,” for example, is clearly going to be SEO-rich. The title has two of my keywords, apps and write. And each app I mention will be a keyword or phrase. 6. Lists can help kids, especially boys, to write. Asking someone who doesn’t find writing easy or enjoyable to write a story called “Why I like X” may be too much of a challenge. But if you ask them to write “5 things I like about X,” you’re providing a structure and a task that seems more doable. It’s less open-ended, and therefore less frightening. 7. All the top bloggers recommend writing list posts. A well-known proponent of the list format in edtech is Larry Ferlazzo. Check out his websites of the year, for example, and see his website for other brilliant “best of” lists. 8. Atul Gawande’s book, The Checklist Manifesto, provides plenty of examples of how a simple checklist, whether in an operating room or an airplane, can save lives. 9. 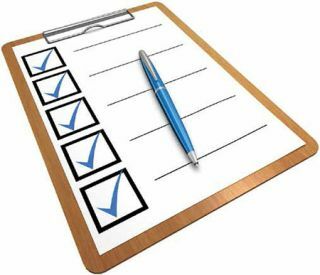 Lists are great for making sure you don’t miss any vital steps when performing tasks such as installing new software (e.g., 1. Make a restore point; 2. Save your work, etc.) Lists like this also make it possible for others to do these things if you don’t have time or are out sick. 10. Finally, if you teach writing or programming, knowing about lists can be very useful. It’s commonly accepted that if the order of items in a list doesn’t matter, bullets are good to use (e.g., a shopping list). Numbers should be used when the order is important, as in a computer program. That’s useful information for kids to have.